For those of you who do and do not know about my recent and quite exciting move to Shanghai: I am alive and well – however very hot. Very very hot. 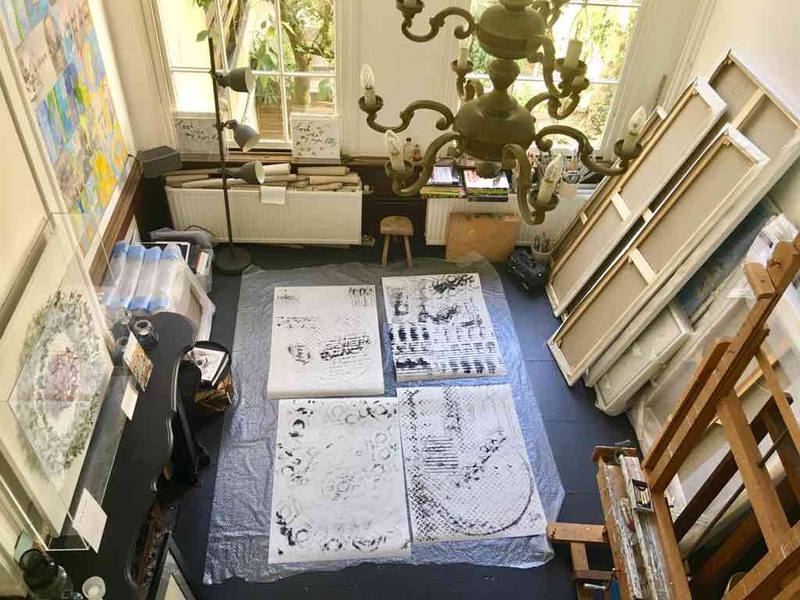 Just to fill those of you in, who are in the dark about this little adventure of mine: it all started with an email from Gerty van Styrum who is a Dutch art consultant based in Shanghai. She was in charge of nominating 20 Dutch artists to the Dutch Consulate here and I was the lucky chosen one. 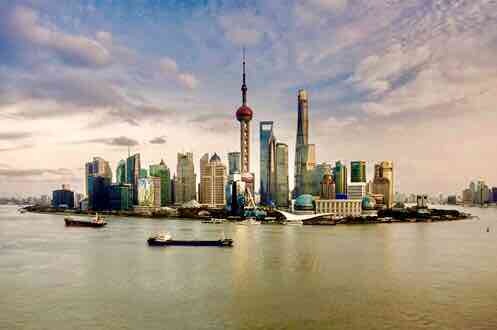 The program entails an “artist in residency” program in the buzzing city of Shanghai that lasts for two months. I am still astonished by this fantastic opportunity to broaden my horizons to yet another city and hopefully capture the energy of Shanghai in a new collection of art pieces. I am so very grateful for this opportunity. 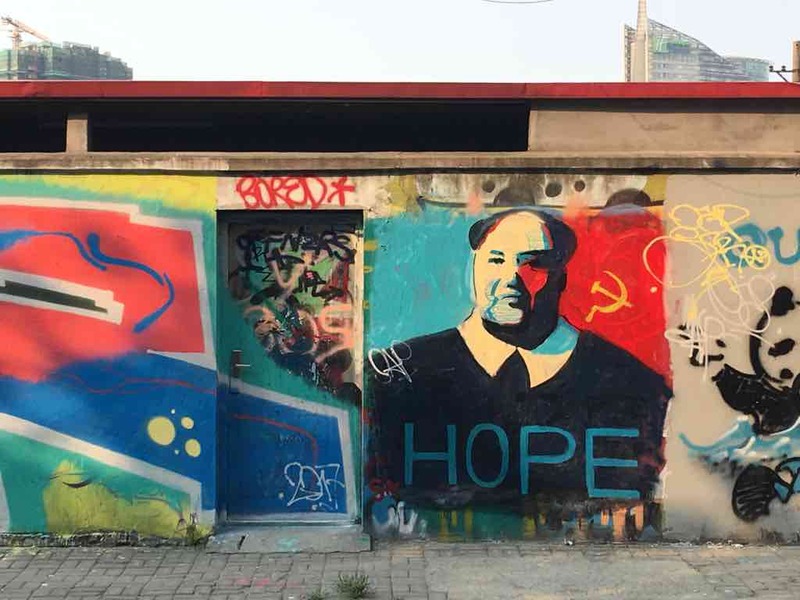 This artist in residency program is based on a cultural exchange between China and The Netherlands. They housed me in the Ying Art Center where I am also spending my time vigorously planning and painting for an upcoming show. This exhibition will take place on September 9th meaning that I will have a little under 2 months to make this exhibition come to life. 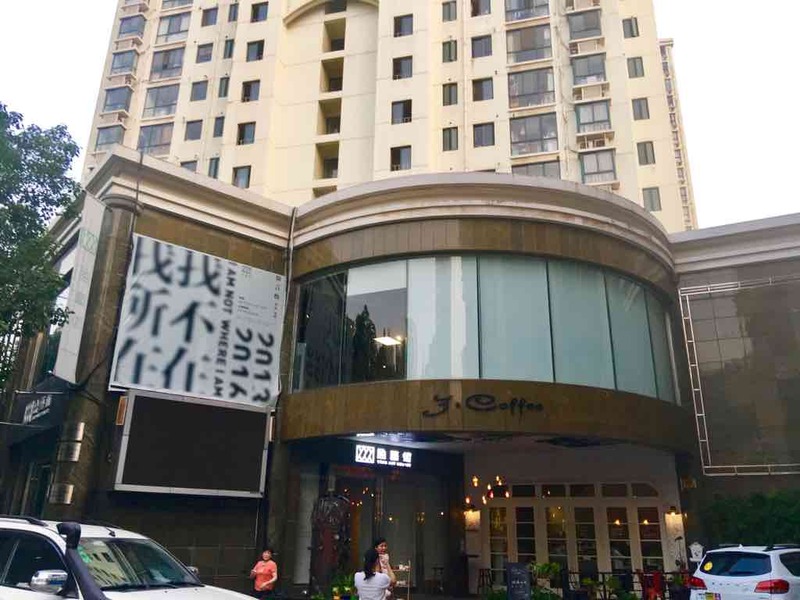 The Ying Art Center is one of the most prestigious galleries of China, with a main gallery in Beijing, but have recently opened this branch in Shanghai. They represent cutting edge Asian artists in their 3-story industrial themed loft. I am the second artist in residence, following Wang Chienyang, one of the biggest upcoming artists in Taiwan, who was here for a year. He has transformed the basement of the gallery into a visual installation. As most of you might know, my work encompasses the dynamics of the people in large metropolitan areas. The people in these areas, mostly cities, are the strong driving force behind the seemingly ever-evolving society. I have translated this movement onto canvas, when observing the nature of New York and with this new experience my aim is to work on a dialogue between New York and Shanghai. These two cities are vastly different, almost polar opposites. Quite literally with their physical location but also when considering their cultures. Yet, they simultaneously hold many similarities that I would also like to reveal in my works. Considering that New York was the first city to inspire my artworks, it really holds an important role in my creative development and also having been in NY just two weeks before jetting off to Shanghai, makes it easier to relate Shanghai to this huge bustling metropolis. 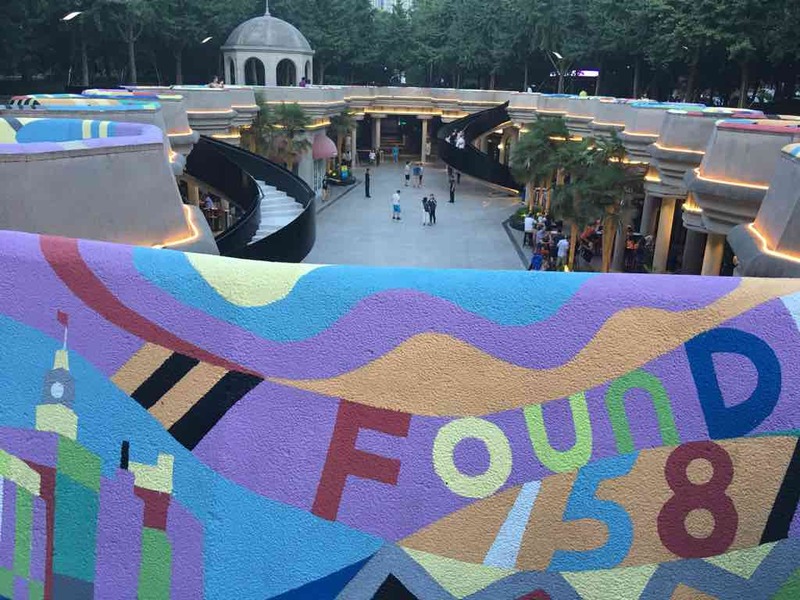 At first glance Shanghai seems like it is not even located on the same planet as New York – if only for the language barrier – however the more I explore the nooks and crannies of the city; there are interesting comparisons to be discovered. Further, besides a dialogue between Shanghai and New York, I will have my exhibition here with Chinese artist Ge Ziyu, whose work is abstract. Together we will also work on a dialogue between each other’s works. I am intrigued to work with another artists as I have never done so before and learning from his culture will surely be inspirational. The team I mostly work with consists of Luyi and Didi. Didi is the gallery assistant and graduated from art college. She is 25 years old and speaks English very well. We have become friends almost instantly despite the age difference. We are also roommates in the apartment that we share in the back of the gallery. 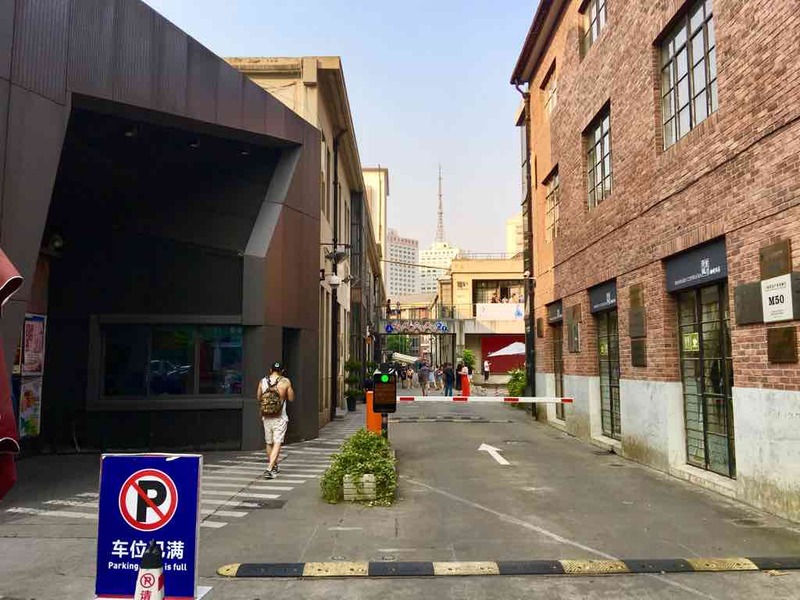 The gallery is located in M50, the vibrating art district of Shanghai with many galleries and artist studio’s. It also has great coffee, which is of course very crucial to the start of my day. The road leading to M50 has a large wall with graffiti which is a fun and colorful backdrop for the many commercial and artistic photo shoots that are going on all day and night. It’s a big attraction! The very fashionable and young Chinese are walking around my area and create a young and inspiring atmosphere. Yet immediately around the corner you find the typical day-to-day Chinese life, with the many scooters, bicycles, transportation bikes, street kitchens, stray animals, along strings of mom and pop stores underneath the scorching hot sun of 41 degrees in combination with high humidity. I have mostly eaten Chinese food with chops sticks during this first week, which is delicious and so much different from the Chinese restaurants in The Netherlands. I have cooked once for Didi, who was not feeling well and loves Italian food. We ate in my workspace with the huge high ceiling windows, overlooking the lights of Shanghai at night. With a bottle of (not Chinese…) wine and music in the background, it was magical. We had interesting and meaningful discussions about life in China and Europe. The rest of the week I have mostly been busy with the challenging task of getting my workplace ready; ordering art materials, receiving them, re-stretching paintings (that I prepared in Amsterdam (NY theme) during months before leaving) and finally started with painting! In the evenings I went out a few times to explore some of Shanghai’s nightlife which is part of the experience…and finding my way around. Keep your eyes open for my next blog post if you are interested in following me through this adventure! 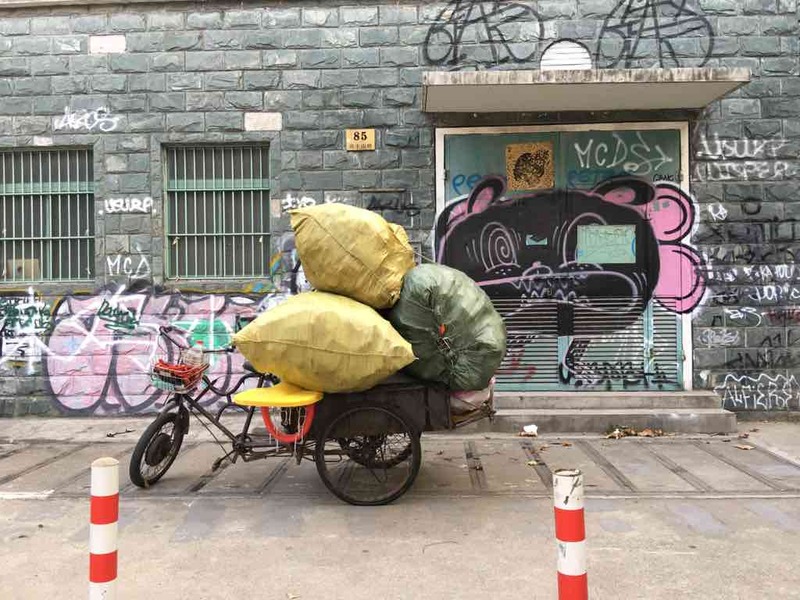 Since this was just an introduction, the next one – I am here now two weeks – will be far more entertaining as I will talk about my impressions of China seen from scooter, bike and by foot and the ups and downs of an artist trying to find her flow!